As healthcare professionals, dentists are primarily concerned with providing service to their patients. However, patients often have lots of options available to them, so you have to ensure that your practice stands out to keep bringing patients through the doors. While traditional marketing methods, like print ads and billboards may attract attention to your business, these methods are often not the most effective when it comes to marketing your dental practice. In today’s digital age, if you’re looking to attract new patients, you should consider implementing inbound marketing strategies. Why do dentists need inbound marketing? In order to get patients through the doors, dentists need to communicate the value of their practice, and inbound marketing can help them accomplish this goal. Instead of wasting time and money on advertising that doesn’t resonate with your intended audience, consider implementing inbound marketing strategies—designed to reach interested consumers where they’re already looking online. Next, we’ll look at some common inbound marketing strategies for dentists and how they can attract new patients to your practice. A large number of American adults research online to identify a medical or dental condition. With SEO, you can target industry-related keywords and phrases and improve your chances of showing up in top result spots. The higher you appear in search results, the more likely potential clients will click on your website. For example, when people search for dentists in their area, you want your practice to show up at the top of search results. No matter how great your practice is, you won’t attract new patients if they don’t know about you. SEO also improves user experience on your site, making it easier for potential patients to find information about the services and procedures you provide and contact you to schedule an appointment. Pay-per-click (PPC) advertising allows marketers to select keywords and phrases they want to trigger their advertisements. Then, if their bid is among the highest, their advertisements will display above organic results for the particular terms. With PPC, you only pay when people click your advertisements. If nobody clicks on your ads, you won’t pay a cent. In addition, PPC results are instantaneous, and you can use them to instantly boost traffic to your site. Since it can take several weeks to see results with SEO, PPC is a great way to drive traffic to your website while establishing organic rankings. A strong content marketing strategy can help differentiate your dental practice from competitors and establish your office as an online authority. To successfully market your dental practice, you need to publish content that provides value to patients. With more and more patients looking online for health-related information, you have an opportunity to be a valuable resource. Don’t post boring content! Instead focus on quality over quantity, and make sure your content delivers value to patients. You can start by posting fun photos and inspirational quotes and expand your content marketing strategy to include posts about industry news and innovations. Infographics and videos are also great for dental practices because they provide you with an opportunity to simplify complicated information, using visuals and analogies to put it in terms that your patients will understand. Ultimately, your content should help patients feel confident in their decision to receive treatment at your practice. Maintaining a presence on social media is a great way for dentists to interact with current and potential patients, and it can give your practice some personality. For example, you can post fun pictures of your staff at a holiday party or celebrating someone’s birthday in the office. When patients view your social media profiles, they feel like they’re getting the inside scoop. So give them a behind-the-scenes glance into your practice. If your office is in the midst of renovations, take a few photos and post them to social media to give your followers a glimpse into the new space. You can also use social media to highlight patients and show your gratitude. A lot of patients are loyal to their dentists and refer friends and family members to the practice. Satisfied patients will also like, comment, and share your social media content with their network, helping to increase awareness about your practice. 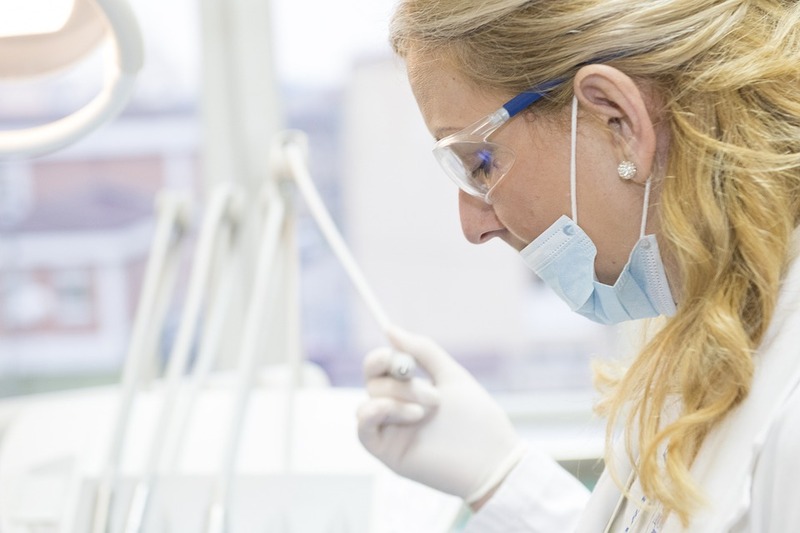 How does inbound marketing benefit dentists? Inbound marketing allows dentists to maintain a presence online where potential clients are searching, making it easier for to attract new patients and create lasting relationships. No matter how great your practice is or how well-designed your website may be, your dental practice will not engage new patients if they can’t find you. Plans from Inbound Marketing Inc.
Ready to learn more about how inbound marketing can help your dental practice? At Inbound Marketing Inc., our team of inbound marketing specialists understands what it takes to design and implement full service inbound marketing plans for dentists.